Although Jacques Bergier and Louis Pauwels collaborated on The Morning of the Magicians, their author pages should not be combined with each other or with their combined author page, which is here. Thank you for helping to maintain proper bibliographic data. 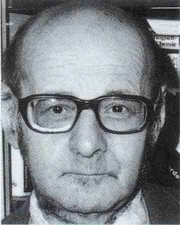 Jacques Bergier is currently considered a "single author." If one or more works are by a distinct, homonymous authors, go ahead and split the author. Jacques Bergier is composed of 4 names. You can examine and separate out names.